Keeping a family of birds free from danger this summer came with a nearly $4,000 price tag, according to documents released to Parliament. Keeping a family of birds free from danger on the grounds of a major Ottawa festival this summer came with a nearly $4,000 price tag, according to documents released to Parliament Monday. 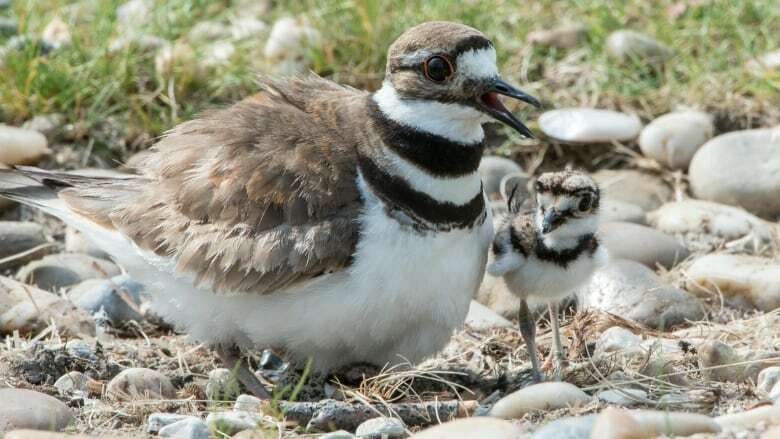 The killdeer nest became a major issue in June because the birds had settled in right where the Ottawa Bluesfest main stage was to be set up. The National Capital Commission (NCC) had to obtain a permit to move the nest and the move had to be carried out by a licensed handler. The handler had an incubator for the four eggs at the ready in case something went wrong. Conservative MP John Nater, who represents the riding of Perth-Wellington, put a question on the House of Commons order paper earlier this year about the costs of this bird rescue for the Crown corporation. NCC staff biologists cost $2,007 for just over 60 hours of work and the commission paid a security firm to keep onlookers away for $1,948, a grand total of $3,955. Documents released in October show the NCC initially hoped the nest would not attract much media or public attention so onlookers would be kept at bay. After being successfully moved, three of the four eggs hatched and left the scene with their mother, but one was hit by a car crossing Wellington Street. The fourth egg hatched after the mother had moved on and was taken to Ottawa's Wild Bird Care Centre.